Prominent & Leading Manufacturer from Bengaluru, we offer centrifugal process pumps for irrigation. 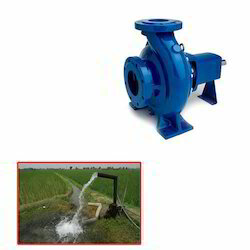 We are leading manufacturer and supplier of Centrifugal Process Pumps for Irrigation. The offered process pumps are available in various sizes, shapes and designs as per the demands of our clients. Our provided process pumps are manufactured using quality tested components and advanced technology in line with industry norms. Moreover, these process pumps are strictly tested on different parameters. Looking for Centrifugal Process Pumps for Irrigation ?